As known, Samsung Galaxy Note 9 will be officially presented next August 9th. The South African colossus has already sent invitations to media from around the world for this important event. Only a few weeks are left to launch and not a day passes without some new details of the expected device being revealed. The recent “leaks” have revealed the different color variations of the top of the range: in the last hours, however, the 6 GB RAM variant of the smartphone has been identified once again on the well-known benchmark portal Geekbench, where a list that also concerns the other 8 GB variant. Thanks to all these rumors, we are able to have a complete picture of the color options that could be announced at the launch event next month. The list, in fact, includes the model numbers PN960BBEGWW (Black), PN960BJEGWW (Gray), PN960BVEGWW (Purple), PN960BLEGWW (Blue) and PN960BAEGWW (Brown). A gold model could also be added to these 5 colors, as an S-Pen with this color also appeared in the official invitation. The report also suggests that the Galaxy Note 9 could have a price around 999 euros. As for the benchmarks, the Galaxy Note 9, with the model number SM-N960F with the Exynos 9810 processor gets a single-core score of 3.716 and a multi-core score of 8.984. The technical specifications remain more or less the same: 6 GB of RAM, Android 8.1 Oreo as the operating system and an octa-core chip clocked at 1.8GHz. 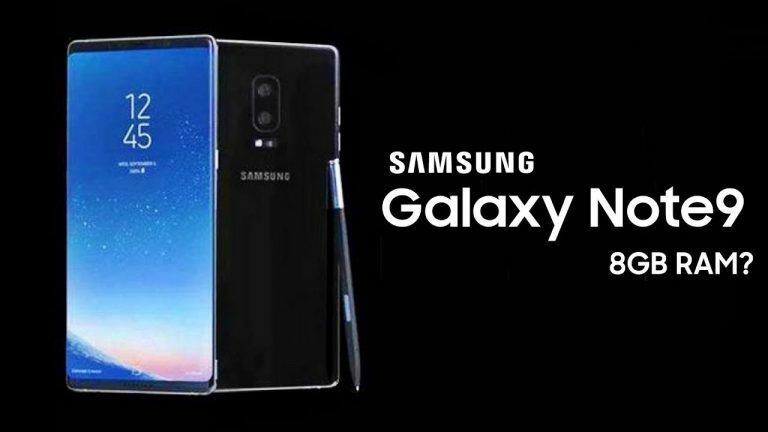 In addition, on the Dutch site Mobielkopen a benchmark result of Geekbench was also identified, which regards a Galaxy Note 9 variant with 8 GB of RAM (still SM-N960F), with an Exynos 9815 processor. To briefly summarize the specifications, the Samsung Galaxy Note 9 features a 6.4-inch Super AMOLED screen with an 18.5: 9 aspect ratio. The phone could be powered by a Qualcomm Snapdragon 845 processor or alternatively from a Samsung Exynos 9810, depending on the different markets in which it will be launched. The phone will also have 8 GB of RAM and 512 GB of integrated storage space.